Free crochet flower patterns, learn how to crochet a flower, collection of free crochet flower tutorials, crochet flowers for any of your project, free on-line crochet tutorials, easy and complicated projects. 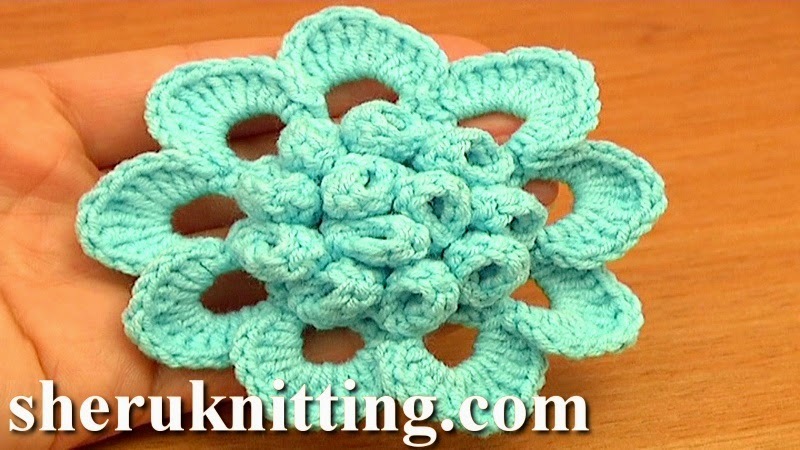 With this crochet video tutorial you will learn how to make beautiful 3D flower where the center made of folded stitches. This flower is not easy to make you need to be careful in counting stitches and need to have practice working into back and front loops of stitches. Happy crocheting!